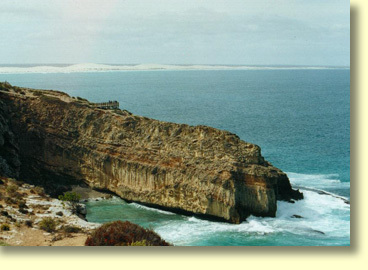 The Head of Bight is located 78 kilometres west of Yalata and 20 kilometres to the east of Nullarbor Roadhouse. As a vantage point to view the Southern Right Whale the Head of Bight is impossible to beat. 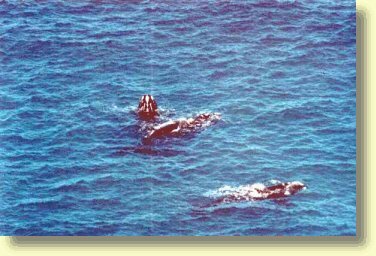 Between June and October of each year up to 100 Southern Right Whales frequent this area of the South Australian coastline to breed and give birth to whale calves. From the main viewing platform Southern Right Whales can be observed at close quarters displaying a variety of behaviour including tail slapping, breaching, blowholing and rolling belly up. Frequently whale calves can be seen with their mothers lolling about or cruising beneath the 65 metre high Bunda Cliffs. The Bunda Cliffs are a magnificent sight in themselves and stretch in an unbroken line for 200 kilometres to the Western Australian border. The Head of The Bight. The Head of Bight has one main whale viewing platform and a number of other vantage points from which to view the Bunda Cliffs and Southern Right Whales. The Head of Bight is approached by a sealed road and attached to the car park is a comfortable undercover picnic area for travellers. Public Toilets and a water tank are also provided for the use of travellers. The Head of Bight picnic area also doubles as an education facility with a number of display boards displaying the habits, behaviours and other scientific curiosities relating to the Southern Right Whale. 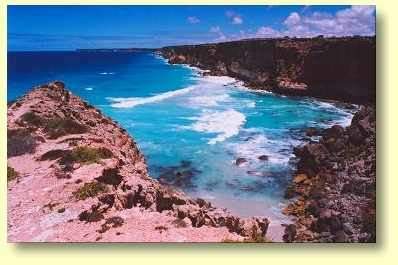 The spectacular Bunda Cliffs stretch for 200 kilometres west of the Head of Bight. These cliffs are 70 metres or so in height and are the remains of an ancient ocean bed that was subject to geological uplifting millions of years ago. Something remarkable to ponder is the fact that as you drive across the Nullarbor you are in fact driving across the floor of an ancient sea bed. On blue sky days such as this, the sight of these cliffs are truly hypnotic and awe inspiring. Clearly the main activity at the Head of Bight is whale watching between May and September. 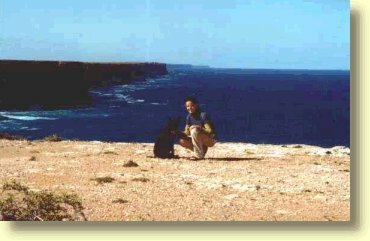 At other times the Head of Bight is still well worth visiting if only to view the Bunda Cliffs in all their striking glory. This area is bound to give the serious photographer some good holiday snaps so bring your camera! By the way some people say the whale viewing is often better when the water has a bit of a chop in it. During the whale watching season Chinta Airways operates out of Nullarbor Roadhouse and offers 30 minute flights over the area. These flights may will provide better viewing of the Southern Right Whale at a price of $140 for a 30 minute flight, with a requirement of at least 2 passengers per flight. From the vantage point of the aircraft you will see the Bunda Cliffs from a totally new perspective. Upon paying for the permits you will receive an excellent brochure describing the world of the Southern Right Whale. 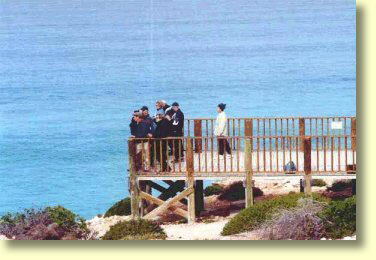 During the months when whales are not present entry to the Head of Bight is by gold coin donation. My recommendation is don't miss the Head of Bight at any time of year. Just do it!